In a world still partly dominated by bigotry and by ritualistic religions, it is only natural that the theosophical movement - being rather a non-violent extinguisher of illusions - should be attacked in various ways, from within and from without. As an instance of such attacks we have a variety of baseless texts which accuse the theosophical movement of having had sympathies for Nazism or Fascism. There are various sources of disinformation around the subject of Theosophy and Hitlerism, and it seems proper to bring some evidence about the actual relationship between the two, including the period during the Second World War. Nazism misused Hindu sacred symbols with selfish goals. Nazi leaders practiced some kind of anti-humanistic sorcery, and they had much in common with the disguised “mysticism of hatred and violence” which was carefully developed by the Jesuits and used by the Vatican since the 16th century. Of course, the Vatican has always been against Theosophy, for Theosophy proposes universal brotherhood and denounces and fights every form of religious dogmatism. As facts often speak by themselves, we will start by examining the actual situation, country by country, during the second world war. * In France, a few days after the German army entered Paris, military officers closed the headquarters. 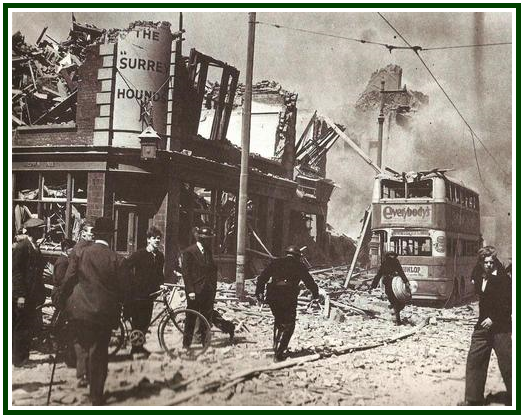 Later they carried away records, library books, and other objects belonging to the Adyar Society. A few months after that the Vichy [Nazi-controlled] government dissolved the Society and twice all Civil Servants had to declare they were not members of it. The Gestapo took the headquarters building in Paris and made it their centre for their Secret Service. This is interesting because the Gestapo used jesuitic and sorcery-oriented procedures, as we will see later on in the present article. They might be interested in taking advantage of any “subtle magnetism” created by theosophical studies. In spite of the Nazi occupation, some meetings of Adyar Society members went on in France, clandestinely. The movement went back to life as soon as the Allies liberated the country. * The Greek Section of the Adyar Society made a pronouncement to all theosophists worldwide denouncing invasion of Greece by Benito Mussolini’s, Fascist Italy. We must remember that the Vatican - located in Rome - officially supported the Fascism in Italy. * In 1943 and 1944, the U.L.T. Letters accompanied the sustained effort to keep the theosophical movement active in spite of war. In 1945, it greeted the end of war and the progress of the U.L.T. in London. In 1946, it announced that, after the Nazi defeat, regular meeting of the U.L.T. were once more in session in the Paris Lodge as in other parts of Europe. * Originated in the Theosophical Movement and founded by Alice Bailey, the Arcane School, the “World Good Will” and its “New Group of World Servers” got totally engaged in actively supporting the Allies during the Second World War. Bailey even criticized the pacifism of Mahatma Gandhi - who as an activist was very much inclined against the British and found it perhaps politically profitable not to support them against the Germans, but was criticized for it. In August 1942, Alice Bailey wrote about “...The pacifist attitudes - idealistic and impractical and finding their focus today in the attitude of Gandhi. He brings into clear perspective the uncompromising, fanatical attitude which is non-realistic and which will willingly sacrifice lives, nations and the future of humanity in order to attain its object.” Throughout her writings in the years of War, Bailey described the Allied and democratic nations as inspired by the Masters, and Hitler’s Axis as inspired by hatred and evil motives. Ms. Bailey was right in this respect and in general lines. For theosophy needs liberty of thought and respect for human rights. This was not the only mistake made by Krishnamurti, who - since 1929 - was not a member of the theosophical movement. Yet, whatever one’s opinion about Mr. Krishnamurti’s pacifist attitude, he clearly cannot be accused of having sympathies for Nazism or Fascism. * After Adolf Hitler’s defeat, the United Nations Organization emerged in 1945 as a global network of countries. This occurred exactly 70 years after the Theosophical Movement was founded, in 7 September 1875. The period of seven decades is numerologically significant. Probably it is also not a coincidence that the U.N. is established in New York, the very same city where the theosophical movement - its own occult archetype - was founded. * Since 1945, the victory of the Allies has been officially celebrated every 8th of May. And it is the very same day when H.P. Blavatsky died in 1891, and when theosophists have celebrated her life since her departure. Another interesting numerological “co-incidence” is that Harry Truman - the President of the U.S.A. during the last moments of the War - was born precisely in a 8th of May. Considering the facts mentioned above, it is not difficult to arrive to, at least, one conclusion. Whatever criticisms one may have with regard to this or that theosophical organization - and there are many - it is a simple matter of common sense to admit that all of the movement, including Adyar Society, is naturally and intrinsically in favour of liberty and democracy, and against any disrespect for human life. The movement has an inherent tendency towards its main goal, universal brotherhood. In the paragraphs above, we saw that Nazism and Fascism persecuted the theosophical movement in every nation they dominated, both before and during the second world war. The movement only came back to normal life after Hitler and Mussolini were defeated by the democratic nations. Let’s now examine another side of the problem. What exactly were the relationships among the German Nazism, the Italian Fascism, and the Vatican? There was an uneasy but intimate cooperation among the three. It started in the early 1920s, as author John Cornwell demonstrates in his well-documented book “Hitler’s Pope - The Secret History of Pius XII” . The Vatican also gave its decided support to the violent pro-Nazi dictatorship of Francisco Franco in Spain. As to Italy, in 1929 pope Pius XI signed a comprehensive Agreement with the Fascist dictator Benito Mussolini. All of this confirmed the existence of strong mutual help mechanisms between the Roman Church and Nazi-Fascism. Adolf Hitler now had the blessings of the Vatican, and they opened room for him to deepen his policy of mass-murder, and to spread it around the world. These, of course, are but a few data about the cooperation between the Vatican and Hitler. There are plenty of them available. This is how true Theosophy sees the Vatican and Jesuitism. On the other hand, one cannot but perceive that there is an interesting “inner”, essential connection between Hitler’s Nazism and the Jesuits. This has been frankly described by the Jesuit historian Vincent A. Lapomarda in his book “The Jesuits and the Third Reich”. Two of the main reasons why the theosophical movement was persecuted both by Nazism and the Vatican were: 1) that it has been envisioned and created as a nucleus of the Universal Brotherhood; and 2) that the idea of Universal Brotherhood inspires its main declared object and the substance of its activities. The Nazi military defeat was, therefore, a grave political defeat for the Vatican. Since the end of World War II, the Jesuits never regained the influence they had before, or during, the years when the Nazi-Fascist freely developed their criminal activities. On the other hand, it has been a most fortunate and meaningful “coincidence” that the main theosophical goal, universal brotherhood, was clearly adopted in 1945 as part of the Charter of the United Nations Organization. Since then it has been one of the main long term objects of the whole U.N. system - or perhaps the central one. “The Seventy-Fifth Anniversary Book of the Theosophical Society, A Short History of the Society (1926-1950)”, by Josephine Ransom, TPH, Adyar, 1950, 252 pp., see pp. 106-107. 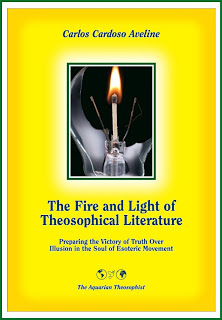 “The Theosophist”, a monthly magazine, Adyar, India, vol. 97, No. 03, December 1975, p. 123. See for instance “Theosophy” editions for December 1940, p. 96 ; June 1942, pp. 382-383; August 1942, pp. 471-473; September 1943, pp. 481-484; January 1946, pp. 111-115 (on atomic bombs); February 1946, pp. 150-153 (also on atomic bombs). “United Lodge of Theosophists”, Los Angeles, California, U.L.T. Letter dated June 25, 1941. See in our associated websites the compilation “The ULT Day Letters, 1931-1960”, in PDF. “United Lodge of Theosophists”, Los Angeles, California, U.L.T. Letter dated June 21, 1942. See in our associated websites the compilation “The ULT Day Letters, 1931-1960”. “Unholy Alliance: A History of the Involvement of the Nazi with the Occult”, a book by Peter Levenda, mentioned in the magazine “Insight”, the journal of the Adyar Theosophical Society in England, Spring 2006 edition, p. 30. “The Externalization of the Hierarchy”, by Alice A. Bailey, Lucis Publishing Co., New York, Lucis Press Ltd., London, copyright 1957, fourth printing 1972, 744 pp., see p. 368. The whole book takes an activist viewpoint, strongly supporting the Allied and democratic countries. “Krishnamurti, The Years of Fulfilment”, by Mary Lutyens, New York, Farrar Straus Giroux, copyright 1983, 248 pp., see p. 56. For more information on Krishnamurti and the Second War, look at pp. 49, 50, 51, 53, 54, 56, 57, 61. See also Chapter IX, Article 55, clauses (b) and (c). The Charter is published and widely distributed by the U.N. Its text can also be seen at the “Encyclopaedia Britannica”, William Benton, Editor, 1967, volume 22, p. 570. Penguin Books, London, 1999. In the Portuguese language, see “O Papa de Hitler, a História Secreta de Pio XII”, Ed. Imago, RJ, Brazil, 2000, 472 pp. “Hitler’s Pope - The Secret History of Pius XII”, Penguin Books, Chapter 12. “A History of Christianity”, Paul Johnson, Penguin books, England, 1976, 556 pp., see p. 489. “A History of Christianity”, Paul Johnson, Penguin books, see p. 489. T.U.P., Pasadena, CA, USA, 1992, see pp. 228-240. The same letter is numbered as Letter 74 in the Chronological Edition of “The Mahatma Letters”, TPH, Philippines, 1993, 600 pp., see pp. 219-230. “The Mahatma Letters”, see p. 231 in the TUP edition; and pp. 222-223, chronological edition, TPH-Philippines. “The Jesuits and the Third Reich”, Vincent Lapomarda, The Ewin Mellen Press, Lewiston, Queenston, Lampeter, Wales, United Kingdom, 2005, 458 pp., see pp. 42-43.